Black and white image of a large, two-story Colonial style house with a copious yard. A second, flat-roofed section is attached to the house's right. Two women stand on the covered porch, and a two-horse buggy sits in front of the white picket fence that surrounds the large yard. A man sits in the buggy and holds the reins, while another man leans against the fence in the open gate. A small white horse with a saddle is just visible in the yard, and the trees and other vegetation are lush and full. 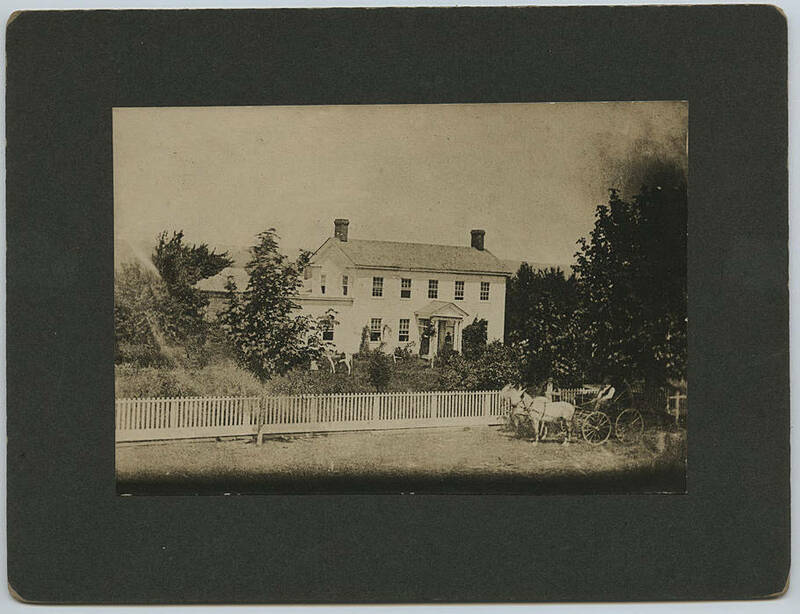 [Back] [pen] the old James Imbrie home - after Mr. Imbrie's death this place was sold to John Milne. Near Hillsboro. 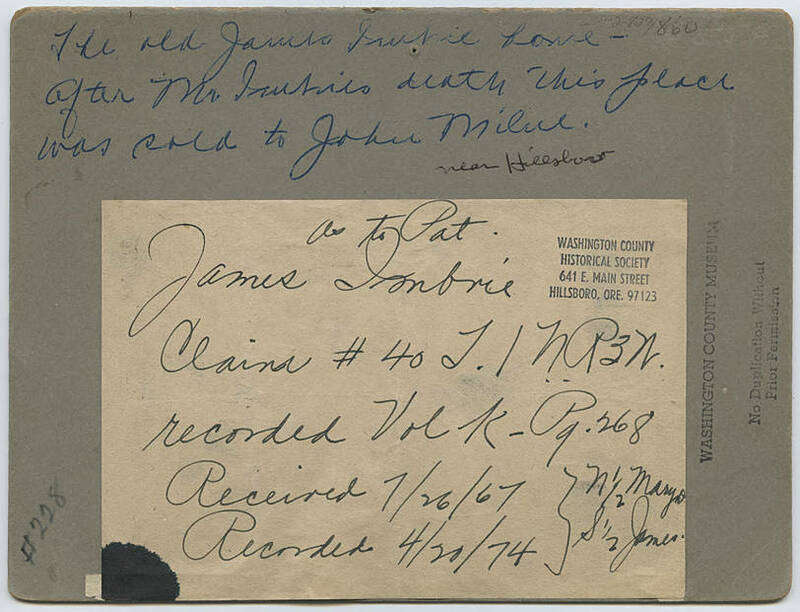 [note attached to back] as to Pat - James Imbrie Claim # 40 T. I N R 3 N, recorded Vol K - Pg. 268. received 7/26/67, recorded 4/20/74 } N 1/2 Mary D, S 1/2 James.